Workshops and listening sessions are in full swing around the Old North State as state agencies solicit input and feedback from a wide range of stakeholders in an effort to turn a brief executive order into a robust clean energy plan for North Carolina. Once finalized and adopted, this clean energy plan will provide North Carolina with a roadmap to fulfill global pollution reduction goals outlined in the 2015 Paris (Climate) Agreement, as well as boost the state’s commitment to developing clean energy and jobs. It’s worth noting that recent reports from the Southern Alliance for Clean Energy illustrate North Carolina’s leadership in deploying utility-scale solar energy as well as energy efficiency reductions and the potential that exists for further gains in both areas. Cooper’s executive order also calls for the creation of a ZEV plan, a motor fleet ZEV plan, and other actions. It is an ambitious goal turn an executive order with scant details into a robust clean energy plan in less than a year, as the current timeline aims to have a plan on the governor’s desk by October 2019, hence an expedited schedule of public sessions and workshops. I attended one of the earliest scheduled listening sessions in a packed audience in Asheville, NC on March 14. Other public listening sessions are scheduled throughout the spring in Rocky Mount, Fayetteville, Wilmington, Hickory, Elizabeth City, Charlotte and Greensboro as well as a series of technical, facilitated workshops which will be held in Raleigh through mid summer. More information about both the listening sessions and workshops can be found here. 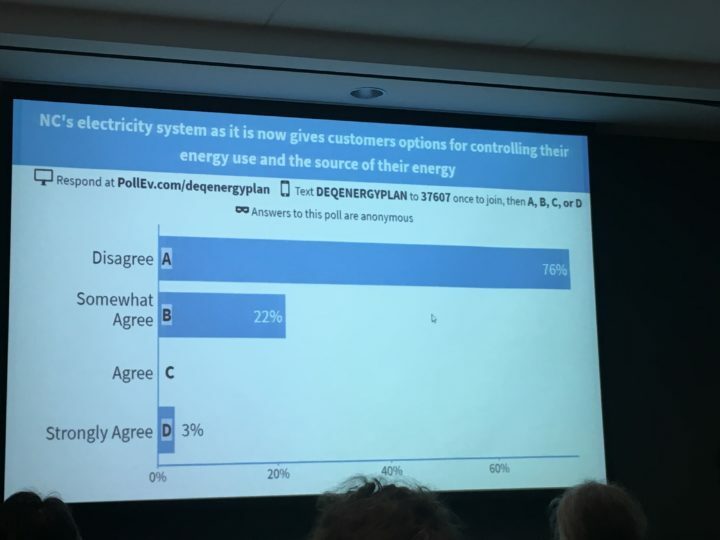 Another way for the public to learn more or provide input for the energy plan is to submit comments online here through July 31st. This executive order is a huge step in the right direction and will help North Carolinians reap the benefits of the clean energy economy of the 21st century. 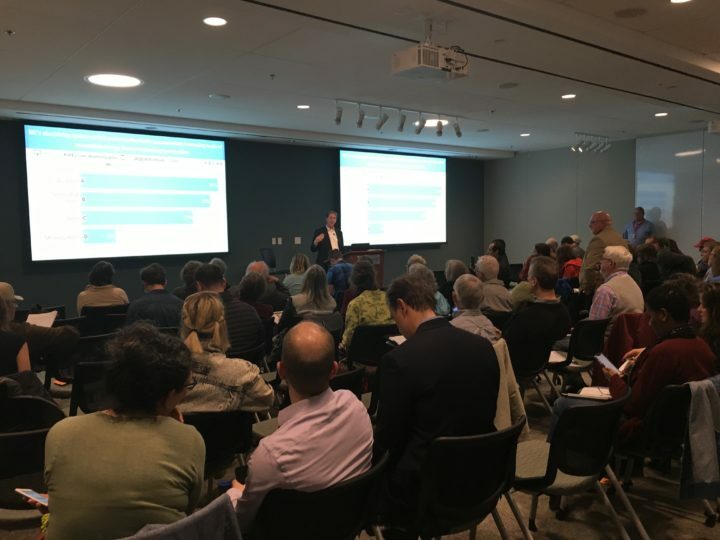 SACE will continue to support efforts that help the Old North State meet these goals and we encourage all North Carolinians to weigh in online or in person on the development of the Old North State’s first comprehensive energy plan.